Fair use policy applies. See Terms & Conditions for more information. 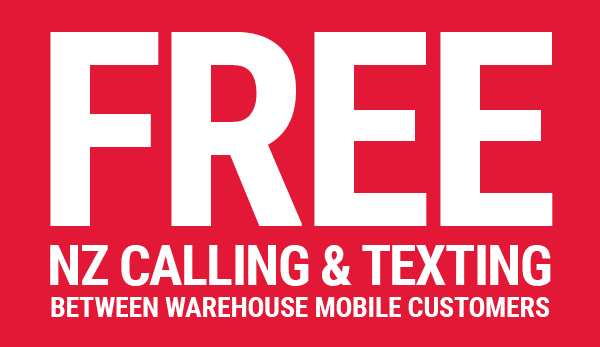 Bring your phone with you or buy a new one from The Warehouse or Warehouse Stationery. Fill out the form and we'll do the rest. It takes a few hours to change and your number will be on our network within two working days. Need a choice new phone? Bring your number with you or get a new 0284 number. Credit Rollover 90 Day Roll Over Credit — Top up again within 90 days, any unused credit will be extended. Data Rollover 31 Day Roll Over Data — At the end of 31 days any unused data can roll over for up to 90 days. Just purchase another data pack prior to expiry. 150+ stores & 10,000+ staff nationwide. Free NZ-based service. It's kiwis looking after kiwis! 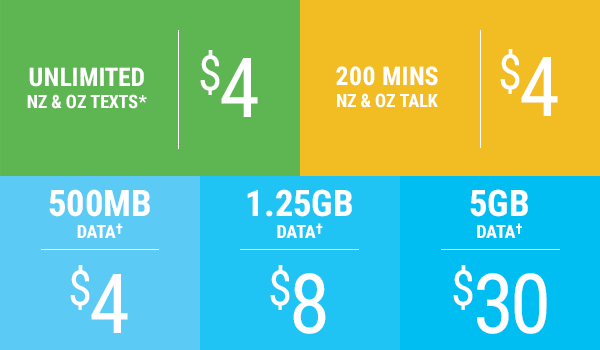 Top Ups from $10. Use your credit how you want. Available from over 8,000 locations including all Warehouse Stationery & The Warehouse stores. Setting up your device to get the best coverage To get the best coverage set your 'Network' selection to 'Automatic'. For help with your phone settings check our Mobile Settings, or call us on 0800 284 800.